>> Honest APPI Travels Review 2019 – Truth Exposed!! Honest APPI Travels Review 2019 - Truth Exposed!! I am in no way affiliated with APPI Travels nor am I promoting this company. Should you stay away from APPI Travels? Is this a good business opportunity? By taking the time to read this APPI Travels review, you will be able to make a wise decision within the next few minutes. #1 Recommended Online Business Training for Beginners - With Proof! Appi Travels claims itself as an affiliate marketing program company in a travel and vacation niche. This company offers its members a “lucrative” way to earn money by engaging on their business opportunity. The company is based in Quebec, Canada and was officially launched on October 28, 2016. The site also claims that APPI Travels is an international name and has affiliates operating on more than 200 countries. There are no other available information about the company - such as the CEO's background or APPI Travels' history. APPI Travels website domain (appitravels.com) was privately registered on the 17th of September, 2016. 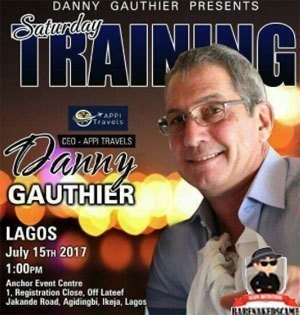 The company's CEO Danny Gauthier was previously directly involved with “Ultamex” and “Wealth Podium.” Both were 2 chain-recruitment schemes. This company does not have any tangible products because their affiliates can only sell and promote the APPI Travels membership packages itself. To get started with the APPI Travels affiliate program, you will need to purchase one of its 3 memberships. The Explorer Membership ($50), the Traveler Membership ($200) and the Navigator Membership ($500). Once you purchase one of these membership packages, you will then become an official APPI Travels Affiliate. These memberships are monthly fees, not a one-time payment. The only difference between each APPI Travels Memberships is your income potential. The APPI Travels affiliate membership gives you access to the company's services provided through an affiliate website portal. These are the Travel Engine, APPI Travels Website Builder, and Online Training. 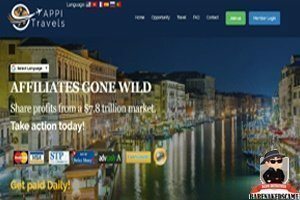 APPI Travels grants its affiliates access to a third-party booking engine to find great deals on flights, hotels, car rentals, cruises, and vacation packages. This is a drag-and-drop and cloud-based website builder. This is to help you (as an APPI Travels affiliate) promote your business online. You will have the potential to earn commissions by sponsoring new people to join the company. The only way you can make money with APPI Travels is through recruitment because there are no products to sell. This is the breakdown of the APPI Travels’ compensation plan. You will be paid a Direct Recruitment Commission (DRC) when you personally sponsor a new member to join APPI Travels. You will earn a direct commission of $25 - $250. $250 when you refer a person that enrolls in the Navigator Membership. You also have the potential to earn a 100% commission match on all of your personally sponsored APPI Travels members. Appi Travels will pay you residual commissions using the 1-Up affiliate compensation plan structure. This program is tracked using an MLM uni-level compensation plan. You will be positioned at the top of a unilevel team by a unilevel compensation structure. Every new member that you sponsored personally will be placed directly under you (Level 1). Those new members (sponsored by them, not by you) will be placed on level 2 under your uni-level team. When any of your Level 2 affiliates recruits new affiliates, they are placed on level 3 and so on. Each 2nd affiliate recruited into the first level of your uni-level team is passed up to an APPI Travels affiliate’s immediate Upline. This means that in your entire uni-level team, you pass up commissions earned from every second affiliate recruited. I will provide you with a video explaining in details the APPI Travels' compensation plan (in a moment). How much can you earn with APPI Travels? The amount you can potentially earn thru the Residual Recruitment Commissions are the same as Direct Recruitment Commissions. All 3 affiliate memberships of APPI Travels generates a reward points called Travel Points. Travel Points can be accumulated and can be converted into real cash. Explorer memberships will earn 250 travel points and also another 250 travel points on the RRMB. Traveler memberships will earn 500 travel points and also another 500 travel points on the RRMB. Navigator memberships will earn 500 travel points and also another 500 travel points on the RRMB. RRMB means that you have the potential to earn 100% travel points as well as the 100% matching bonus commissions on your personally referred members. APPI Travels launched a new "added" program to allow their affiliates to participate and make money thru cash gifting. The APPI Travels gifting payments are tracked through a 2×2 matrix. For an APPI affiliate to access this program, you need to buy a separate (add-on) membership. Navigator affiliates buy in for $250. Here is a video created by one of APPI Travels compensation plan. Everything you need to know about how to make money with APPI Travels, including the technicalities and requirements, are in here. You can join the business opportunity offered by APPI Travels by purchasing any of their membership packages. Check this out: My #1 Recommended Online Business Training for Beginners. My Success Story Included! I find it hard to highlight other things that I personally like about this company. I did find some serious concerns about APPI Travels that I wanted to discuss with you below. I promised you an unbiased APPI Travels review, and I will stand with my word (as I always have). These are the things that I found questionable about this company. APPI Travels have no products that you as an affiliate can market and earn profit from. When you join this company, you will have the opportunity to enjoy its perks and services such as getting excellent deals in travels and vacations. There are plenty of other sites that will provide you with precisely the same services for free. Just go into your preferred search engine (Google, Bing or Yahoo). Type in "great travel deals" and you will have pages and pages of relevant results. The only way you can earn thru this company is by recruiting new people to join the company under your team. This is relatively clear upon seeing APPI Travels’ compensation plan. Nowhere in the company's compensation plan you can find anything that pertains to earning money through selling products. Is This a Bad Thing? Unfortunately, YES! Company’s that operates their business using this model is very risky of being labeled by the FTC as a pyramid scheme. 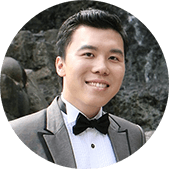 A great example is World Ventures, it operates in the same fashion as APPI Travel, but it has been labeled as a pyramid scheme in many countries. In fact, World Ventures provides a travel club service, much like these prestigious travel clubs, but it offers the service to its members at an affordable price. So, even with a tangible service, World Ventures still can't escape its predicament. What more to say about APPI Travel. In my opinion, it is only a matter of time before the authorities catch up to this company. What do you think? Please share your opinion in the comments section below. APPI Travels requires a monthly membership fee from all their members. It is important to remember that you will be paying a monthly fee to enjoy your benefits as an affiliate continuously. 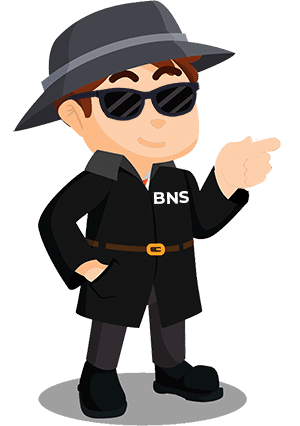 If you are one of the people who prefer businesses that are recognized and accredited with the Better Business Bureau, then you might want to consider other online business opportunities. APPI Travels made it clear that they will not be granting you such services. I suggest that you hold onto your cash until you are sure that APPI Travels is the business opportunity that you are looking for. My #1 Recommended Online Business Training for Beginners. 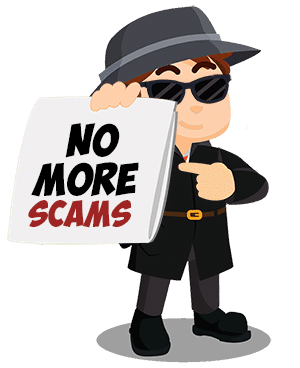 Is APPI Travel a Scam? Another Pyramid Scheme in disguise? APPI Travels branded themselves to be an affiliate marketing company. Once you take a look at the company’s structure, especially its compensation plan, you will realize that it is an MLM company. And a shady MLM company at that. Below is a 2-minute video explaining the difference between a legit MLM company vs. Pyramid Scheme. Do you think APPI Travels is an affiliate marketing program company? Is it an MLM company or, do you believe APPI Travels is a pyramid scheme? Please let me hear your thoughts in the comment section below. Although I cannot say with utmost certainty that APPI Travels is a scam, I wouldn’t recommend this business opportunity to anyone. I find the risks that are involved in this business model is too high to be worthy of your time and investment. There are plenty of other legit business opportunities to make money today. Many others offers a much better "success conditions” and “perks” to their members to what the APPI Travels offers to its affiliates. With the advancement of technology and the Internet, it is entirely possible to make money online today. Many people have achieve financial independence using a home-based business program too. Whatever business opportunity you decided to invest your time and money on, it is crucial that you do it after a well-thought-out and informed decision. Among legit and fantastic income generating opportunities are a variety of scams and fraudulent investment schemes. Thank you for taking the time to read my APPI Travels review for 2019. If you find this helpful, kindly share this to the people that you know. I highly recommend that you check this out instead. Click Here: Start Your Online Business With this Proven Blueprint! This fantastic online business program has already helped thousands of people earn substantial passive income at home. It could do the same for you. If you have any information you would like to share regarding APPI Travels, please feel free to utilize the Comment Section below.